Explore the charm of Kuala Lumpur on a morning or afternoon sightseeing tour that blends old-world character with a modern metropolis. An informative guide points out the contrast between Indo-Moorish architecture and ultra-modern edifices like the old and new King’s Palace and Merdeka (Independence) Square against a growing city skyline dominated by the Petronas Twin Towers. Other highlights include the National Museum, National Mosque and the Royal Selangor Visitor Center, where you'll gain insight on pewter smithing and innovative pewter-ware design. Round-trip hotel transport is included. 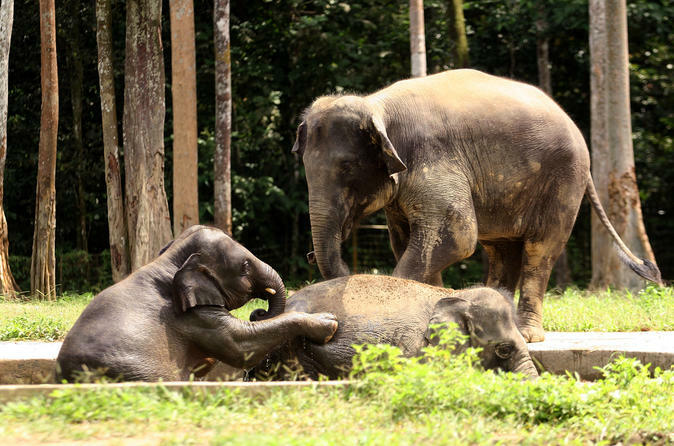 Enjoy a private tour of the Kuala Gandah Elephant Sanctuary (also called the Elephant Orphanage Sanctuary), an elephant conservation center managed by the Malaysian Wildlife Society. 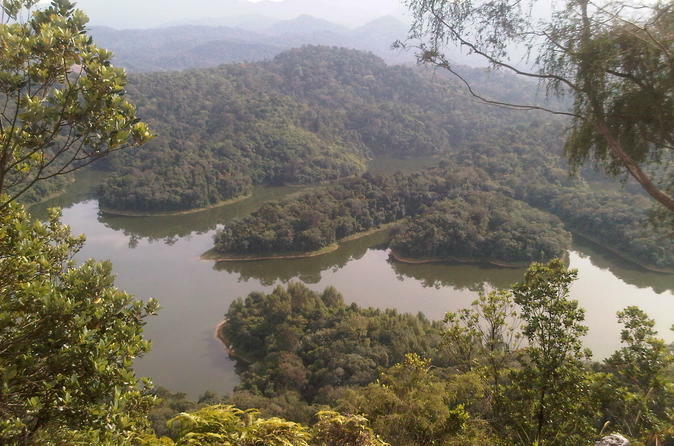 Drive by private vehicle to a beautiful tropical rainforest, located just 1.5 hours from Kuala Lumpur, stopping at Deerland Park along the way. With your expert, friendly guide, you’ll discover the important work the elephant sanctuary does in protecting and safeguarding these orphaned elephants. You may even have the opportunity to interact with cute and clever baby elephants – truly a never-to-be forgotten experience! 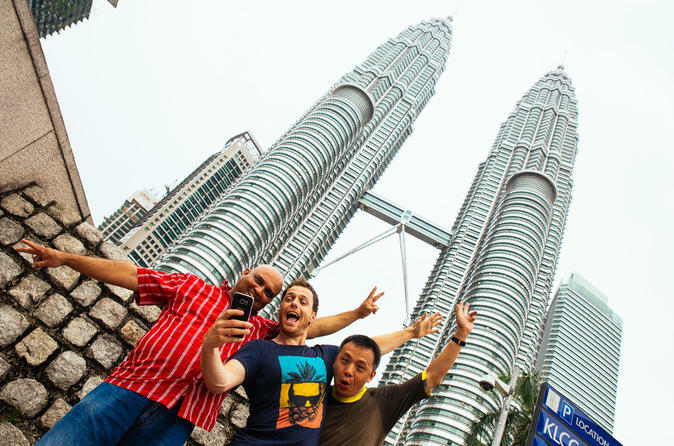 Experience the best of Kuala Lumpur on this full-day sightseeing city tour with a private guide. 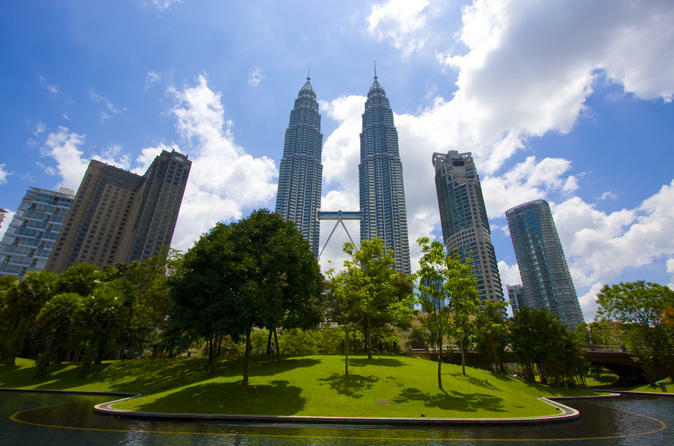 You’ll spend the morning visiting famous sites including Independence Square, the Petronas Twin Towers, the King’s Palace and the National Museum, then enjoy a traditional Malaysian lunch at a local restaurant. 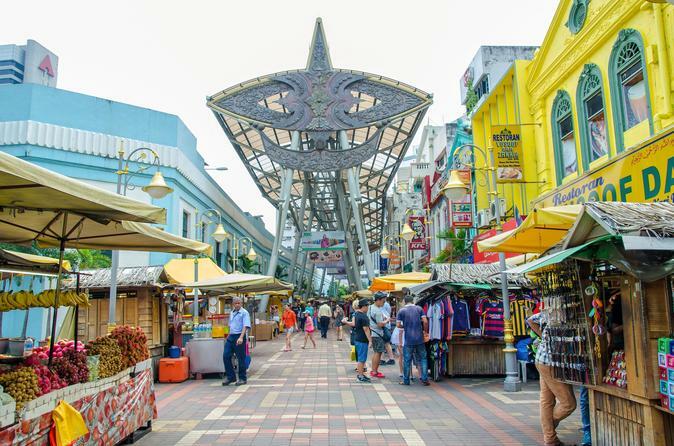 In the afternoon you’ll stroll through Little India and stop into a local arts and crafts centers. 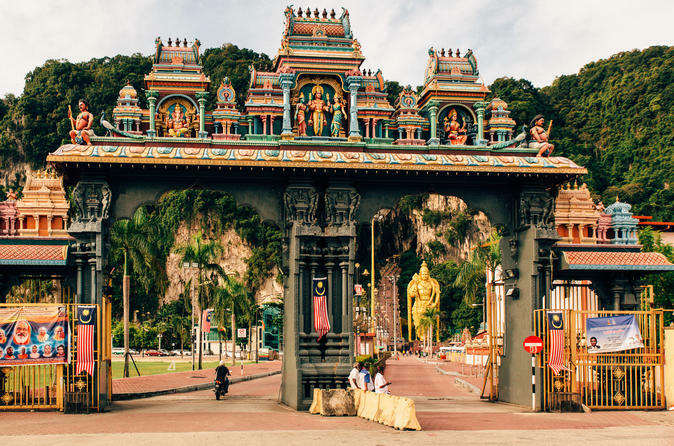 Then take a guided tour of the Batu Caves, a spectacular Hindu temple built into a limestone mountain – a must-see while on a Kuala Lumpur grand tour! 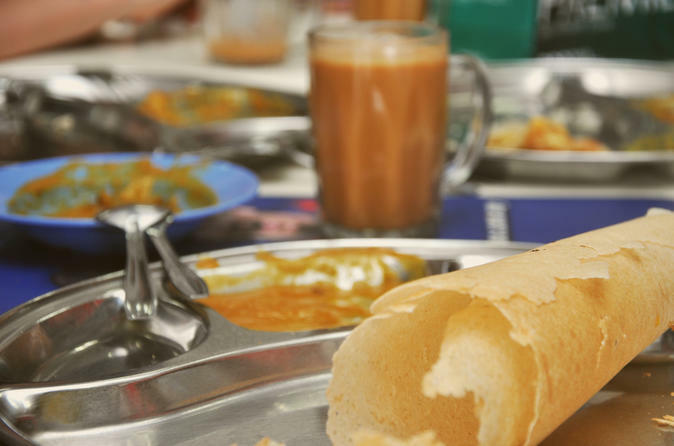 Sample a variety of Malaysian foods on a culinary walking tour of Kuala Lumpur! Eat lunch like a local as you explore hidden streets, alleyways and suburbs of this diverse city with a knowledgeable guide. On this epicurean adventure, you’ll discover a wide range of cultural influences on Malaysia’s dynamic cuisine – enjoy the spicy aromas of Indian dishes, the complex tastes of Chinese cooking and the zesty flavors of Malay favorites. Numbers are limited to 12 people, ensuring an intimate experience with a small group of like-minded food lovers. 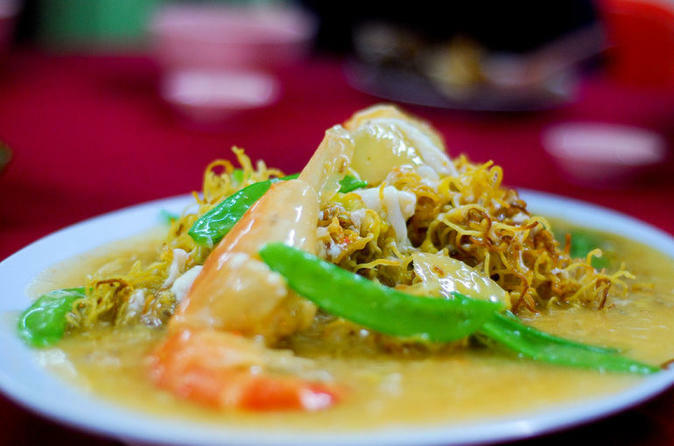 Get to know Malaysia in one of the most satisfying ways – on a food-tasting tour! 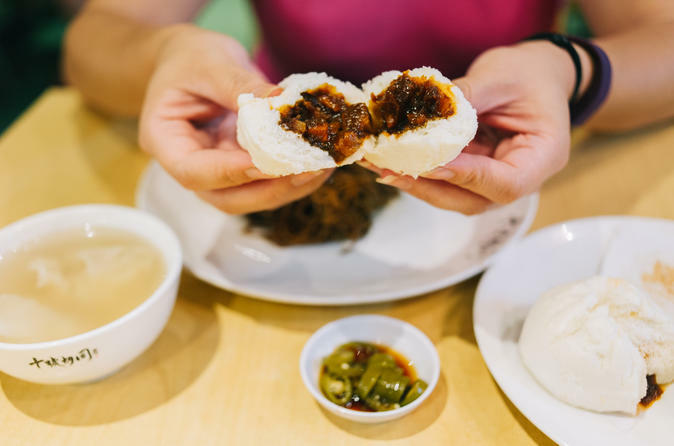 With an enthusiastic guide, drop in to three or more hole-in-the-wall restaurants and food stalls at a Kuala Lumpur hawker center or off-the-beaten-track neighborhood that features the best of Malaysian cuisine. As you enjoy the delicious food and meet friendly locals, your guide will ensure you have an epicurean adventure that can’t be beat. All food tastings – no matter how much food you eat – are included, so come hungry! Visit the tallest twin towers in the world with skip-the-line entry. This admission ticket to the Petronas Twin Towers in Kuala Lumpur gives you access to the observation deck at 558 feet (170 meters) in the air. Enjoy panoramic views of whole city during this 45-minute experience. Select a ticket time when booking. 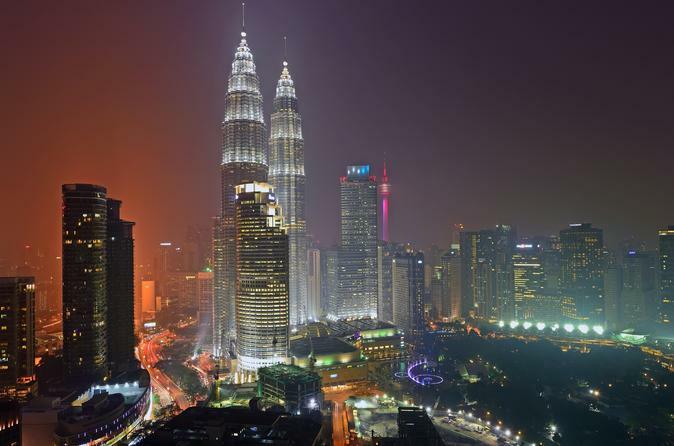 Kuala Lumpur began as a tin mining settlement with Tudor-styled clubhouses. The city has now evolved into a modern haven with endless events and festivals, amazing food, and a shopping culture to satisfy any shopaholic. Your tour is perfect for any visitor who wants to see it all, but has limited time. 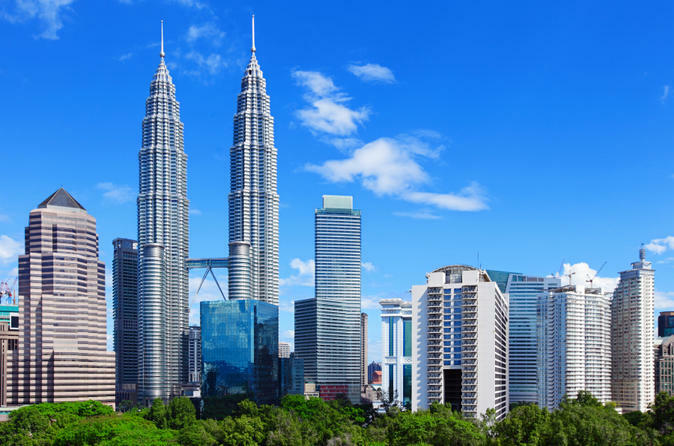 Enjoy tours of Kuala Lumpur City Kuala Lumpur Tower, Batu Caves, feast on a banana leaf lunch, enjoy shopping and get your camera ready for a photo stop at the famous Petronas Twin Towers. 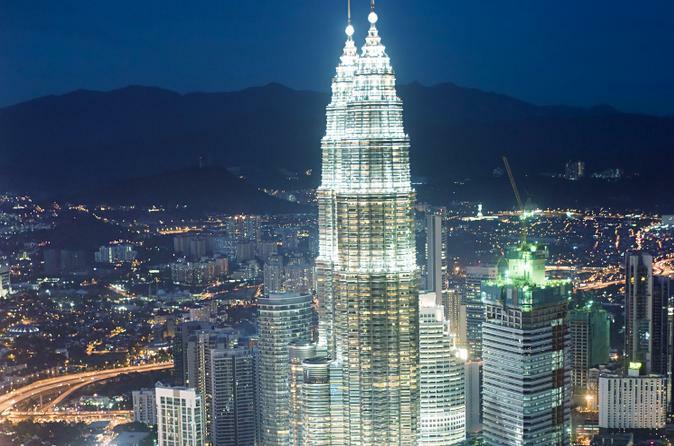 This private sightseeing tour of Malaysia's capital city explores the charm of Kuala Lumpur with a skyline that blends the Old World with the New. Highlights of this private city tour of Kuala Lumpur include the National Museum, National Monument, National Mosque, Kuala Lumpur Railway Station and the King's Palace. The final stop will be the Royal Selangor Visitor Centre to get an insight of pewter smithing and innovative pewter-ware design. 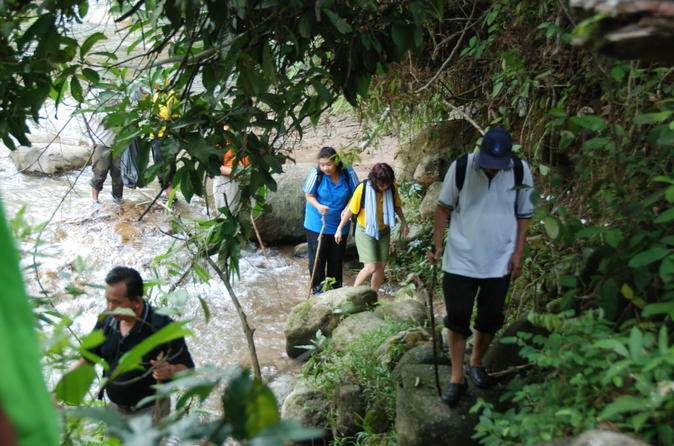 Find nature right in the heart of bustling Kuala Lumpur with the help of a fun and knowledgeable private guide. 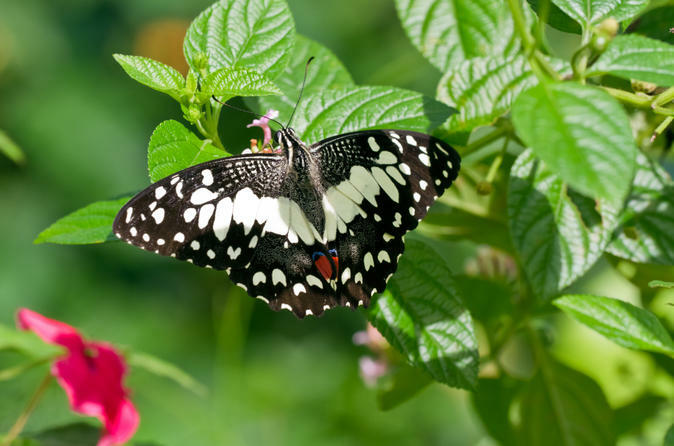 Admire the world's largest Butterfly Park, a kingdom with splendid haven of hundreds of vividly colored, free flying butterflies and other insects. 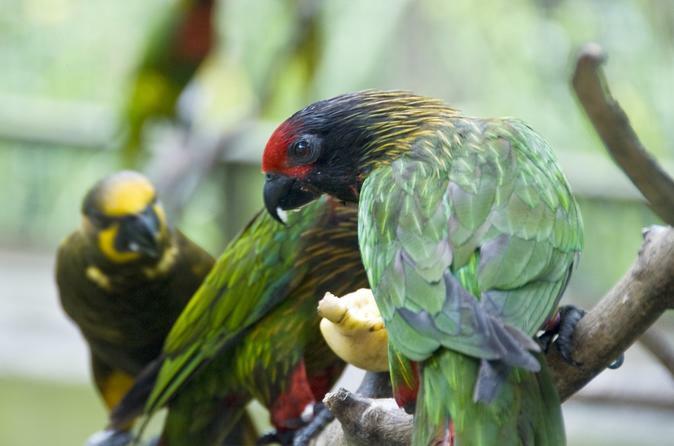 Learn about the large variety of bird species at the Bird Park and marvel at the considerable number of hibiscus and orchid species house in the Orchid and Hibiscus Garden. Enjoy your own private air-conditioned transportation with hotel pickup and drop-off. 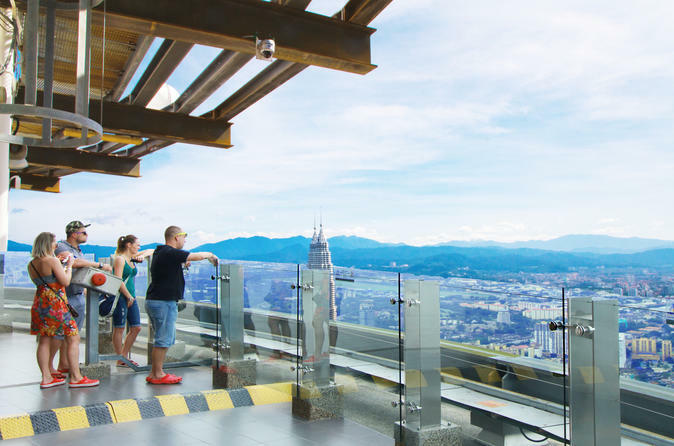 A visit to the KL Tower Observation Deck is a must-do during any trip to Kuala Lumpur. Take in 360-degree views of the city from the enclosed deck, and visit the XD Theater — a multisensory movie experience. If you want to go even higher, upgrade your ticket to include admission to the Open Deck, located at the very top of the tower, more than 1,000 feet above the ground! 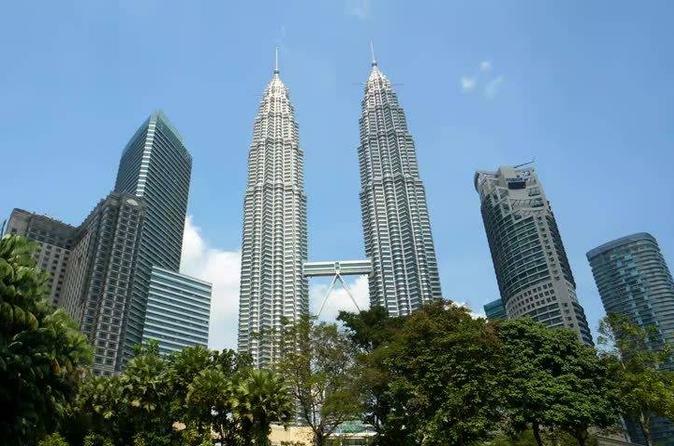 Admission to the Petronas Twin Towers Observation Deck and Skybridge is included with your sightseeing in Kuala Lumpur. Visit other places of interest and get a better understand Malaysian life, including Central Market and the Batu Caves. A personal driver takes you by private vehicle to each site of cultural and historical value, such as Merdeka Square (Independence Square) and the National Mosque. Cameron Highlands is a hill resort at 1,500 meters above sea level with temperatures from 10 - 25 degrees Celsius. It was discovered by a British surveyor Mr William Cameron in 1885. 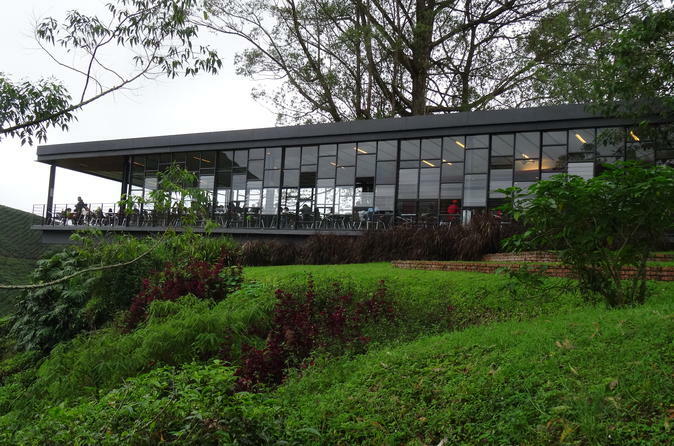 The area is known for its farmlands, tea plantations, orchards, nurseries, waterfalls, rivers, lakes, wildlife, mossy forest, and its local people. Come and find out more on this fabulous tour that gives you a real insight into this area. Please be cautioned that, after many encounters, we have discovered the traffic congestion on the hills to be bad on Saturdays, Sundays and Public Holidays. Please take this tip into consideration when booking this tour. 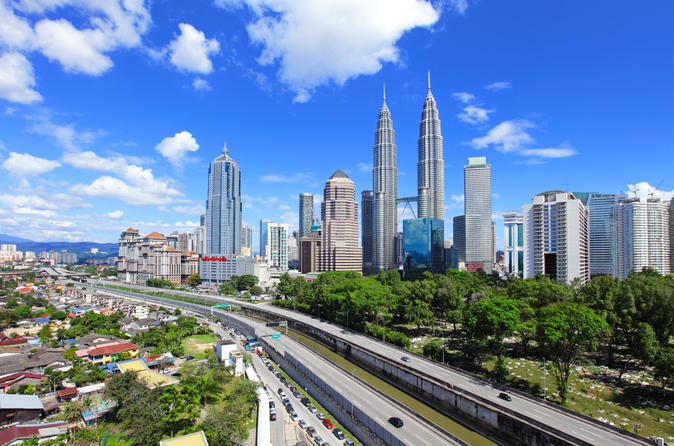 Kuala Lumpur is the capital of Malaysia, and an extremely popular travel destination in the region. A decent tour of Kuala Lumpur has to cover a lot of ground in order to truly capture the city’s history, current development, and future potential. Come and join us on this 3.5-hour Kuala Lumpur city tour during your holiday in Malaysia together with a professional English speaking guide. Hotel transfers and Kuala Lumpur Tower Observation Deck Ticket is included. 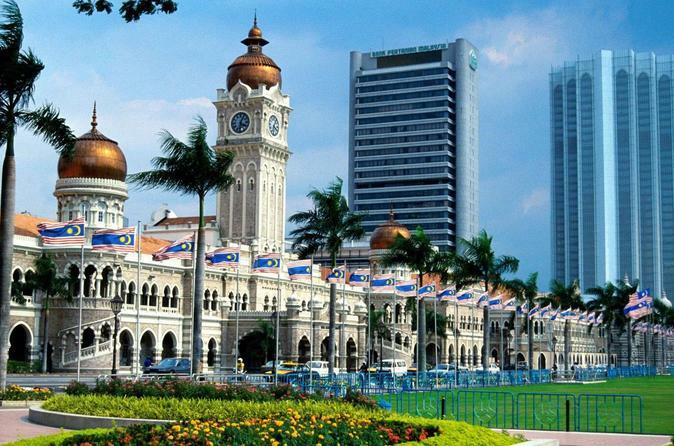 While in port in Kuala Lumpur, see famous city attractions on a private sightseeing tour. Perfect for first-time visitors, this full-day shore excursion provides a comprehensive introduction to Malaysia’s capital, driving you by private vehicle past landmarks like the National Mosque and Merdeka Square (Independence Square). Take photos at the Petronas Twin Towers and King’s Palace, and visit the National Museum with your knowledgeable private guide. You’ll stop to admire pewter arts at the Royal Selangor Visitor Centre before enjoying a Malaysian lunch. Port pickup and drop-off are included. Enjoy the local food like all Malaysians do; check out the food night market, take in the typical flavors, taste delicious bites and don’t forget to eat, eat, eat! Enjoy a half-day trip to the impressive Batu Caves as your guide shares local insights and stories with you. Go off the beaten track as you stop at a local hidden gem on the way and finish the tour at the terraced Kanching Waterfalls. Taman Negara is an ancient 130 million years old tropical rainforest and home to many threatened mammals such as tigers, elephants, tapirs, rhinos, and sun bears. You'll find numerous bird species, fish, and flora on a guided trek. The bonus stop at the Batu Caves is exhilarating. 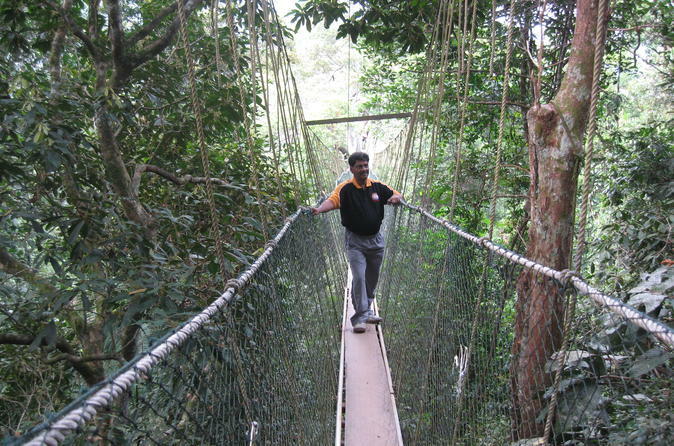 At Taman Negara take a walk on the canopy walkway and jungle trekking to the Teresek Hills. After lunch take an exhilarating boat ride to an Orang Asli aboriginal village, where you'll observe a blowpipe demonstration and their fire making skills. Awesome ! Return transfer, lunch and all fees are included. 01. Extra changing clothes and towel as there is a 'chance' to get wet. This full-day tour takes you outside of Kuala Lumpur city and gives you the opportunity to see what the surrounding areas have to offer. Start with a trip to the iconic Batu Caves, then make your way to an elephant conservation center. 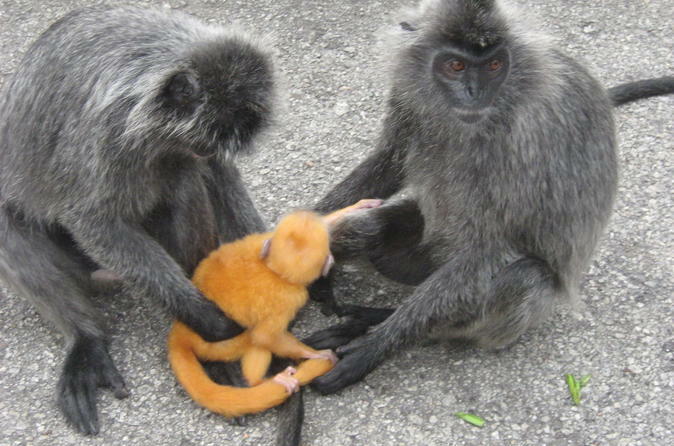 Finally, take a relaxed drive through the countryside to Bukit Melawati to meet the silvered leaf monkeys, eat a seafood dinner, and see the spectacle of fireflies during a boat trip in the mangroves. Included: Return transfers by English speaking Chauffeur Guide with commentary, Free flow Mineral water, 1 Lunch and 1 Seafood dinner. Please bring along insect repellents good walking shoes. This private day trip to Malacca takes you on a 2-hour drive from Kuala Lumpur to the World Heritage–listed city. 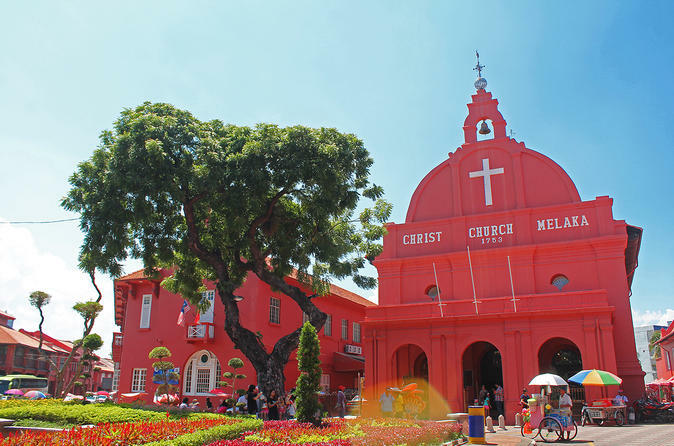 Learn from a personal guide about its rich trading history and multicultural heritage while you explore popular attractions such as St. Paul’s Church, Stadthuys, A Famosa, and Jonker Street. Take a spectacular walk through the historical heart of Kuala Lumpur and understand the many facets that make up the Malaysian capital. Discover the heritage sites of the city, a former tin mining settlement that has grown into a thriving metropolis. You'll see where Chinese and Indian immigrant communities worship, and eat with the locals while you sample a variety of authentic foods. 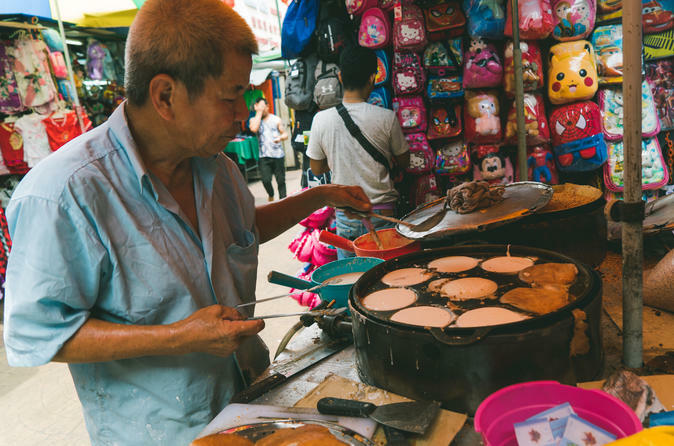 Join a small group tour and venture through one of the biggest wet market to hunt for delicious local food in the district of Chow Kit, Kuala Lumpur. Be hungry for food and knowledge as your local guide will walk you through each step of the way on this food trail. Savor delicious local cuisine which the forefathers of Kuala Lumpur has kept alive as you unveil the history and heritage of Malaysia. Get ready to eat, learn and have fun! 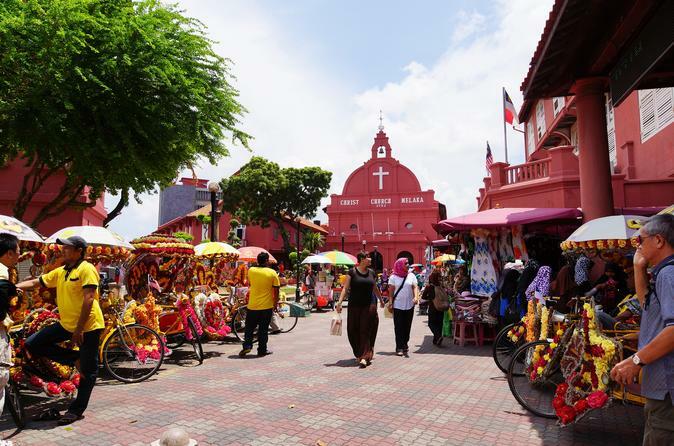 Take a step back in time with this fascinating tour of the historical city of Malacca. Malacca city is a UNESCO World Heritage site. 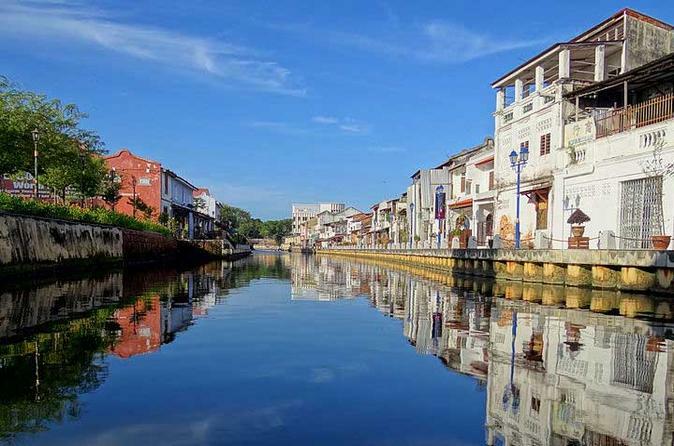 Founded in 1400, Malacca was once one of the greatest trading ports in Southeast Asia. With strong Portuguese, Dutch, and British influences, Malacca is now left with rich heritage and a unique mix of architectural styles. 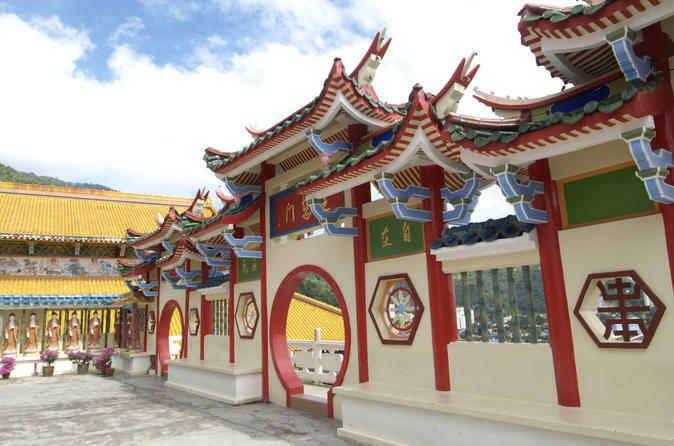 Visit the street of Harmony where you can view the oldest Chinese Temple and Hindu Temple in Malaysia. Walk through the ruins of St Paul’s Church where St Francis Xavier was once buried. Malacca is unlike anything else and you will not want to miss a visit to this amazing, historical city. Join this private full-day Kuala Lumpur city and countryside tour to explore historical buildings and some of the most popular attractions such as National Mosque, King Palace, Independence Square, Old Railway Station, Batu Caves, Lake Garden, National Monument, Parliament House and Royal Selangor. 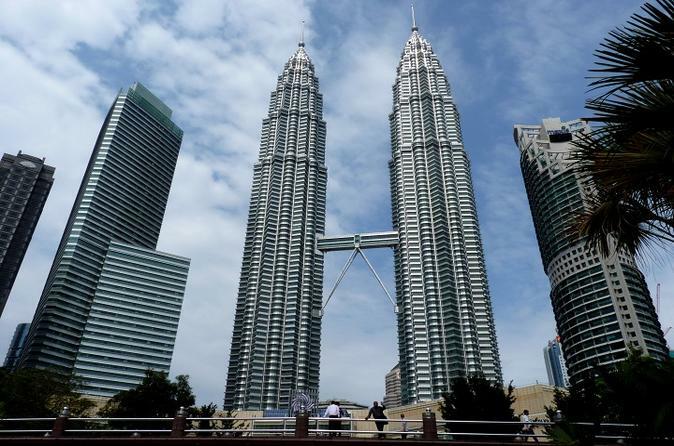 The trip will include a photography opportunity at the Petronas Twin Towers, the tallest twin towers in the world. Please note: the tickets for this attraction are not included in this tour. 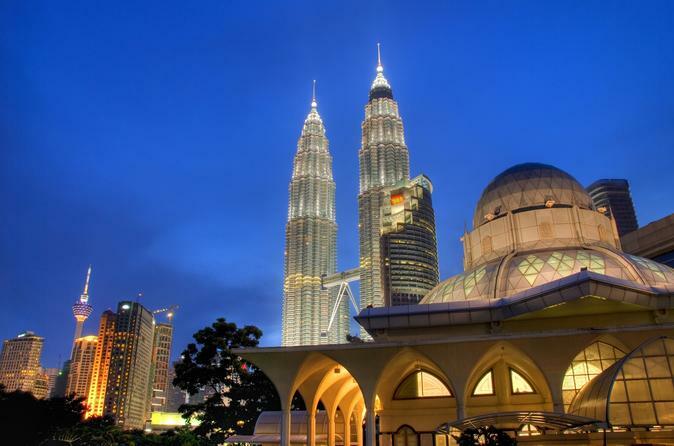 See the best of Malaysia on a 7-day coach tour, traveling round-trip from Kuala Lumpur. Enjoy accommodations at popular resorts in five fantastic locations — Cameron Highlands, Penang, Kota Bharu, Kuala Terengganu and Kuantan — where you’ll discover natural and cultural highlights with your informative guide. Visit the Islamic Civilization Park, tour a tea plantation, and ride a trishaw around Georgetown, a UNESCO World Heritage site. Hotel pickup and drop-off is included, with the additional option to transfer to the Kuantan airport (if you've booked your own evening flight on Day 6) or transfer to the Kuala Lumpur airport on Day 7. Visit four family-friendly attractions and discover Malaysian wildlife in the heart of Kuala Lumpur, including the Orchid Garden, Kuala Lumpur Butterfly Park, KL Bird Park and Aquaria KLCC. This all-in-one package includes a 4-hour guided tour by private vehicle with the option to customize the itinerary to your preferences. 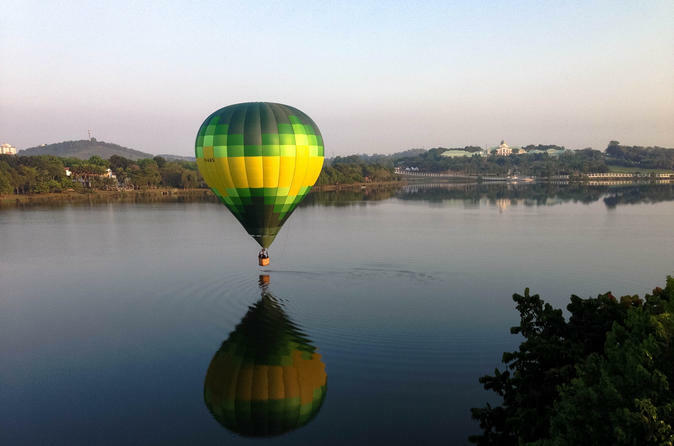 Experience the morning silence on hot air balloon ride over Putrajaya at sunrise. Soar with the wind on a unique flight path and peer down at notable landmarks from above. See the Wawasan Bridge, the stainless steel Putra Mosque, the Palace of Justice and many more buildings plus Putrajaya’s lovely lake. Breakfast plus hotel pickup and drop-off are included. Enjoy a day away for the hustle and bustle of Kuala Lumpur city with our day trip to Kuala Gandah Elephant Sanctuary. This trip offers you the opportunity to get to know each of the orphanage elephants and gain a special understanding of their daily lives and behaviours. 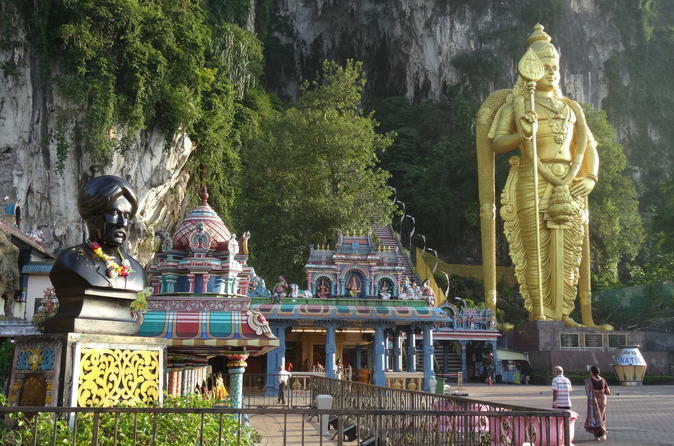 We will visit to Batu Caves which is an iconic and popular tourist attraction in Selangor. Lunch and hotel transfer in Kuala Lumpur city area is included. A must for first time visitors to Kuala Lumpur. 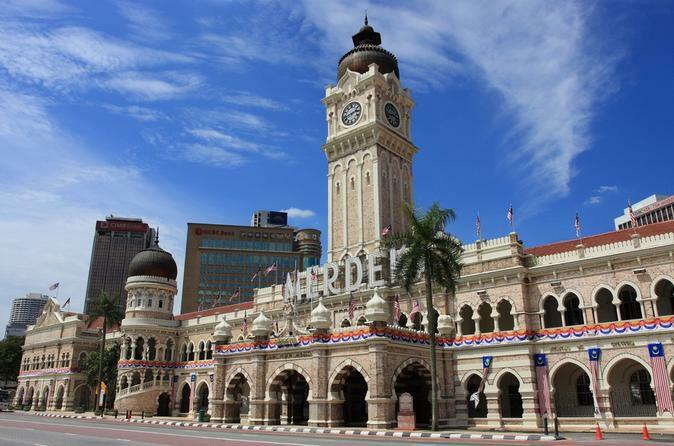 An interesting tour which unveils the beauty and charm of the old and new Kuala Lumpur. See the contrast of the magnificent skyscrapers and the buildings of the former colonial days. 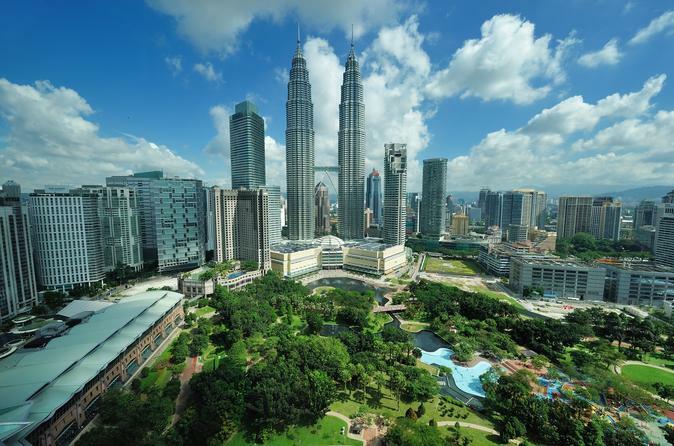 When your cruise ship docks in Kuala Lumpur, enjoy a city sightseeing tour of Malaysia’s capital. See the architectural highlights of this modern metropolis that blends old-world architecture with contemporary design. Pass notable monuments like the National Mosque and Merdeka Square (Independence Square), with great photo opportunities of King’s Palace, Petronas Twin Towers and the Kuala Lumpur Railway Station. Hear informative commentary from your guide throughout your half-day tour, which includes a scenic drive from the cruise terminal and back to port. Numbers are limited to six people on this small-group shore excursion, ensuring a personalized experience. Kuala Lumpur is a city filled with wonders like no other place. There are sights of great historical and religious value, as well as modern buildings with stunning architectural designs. 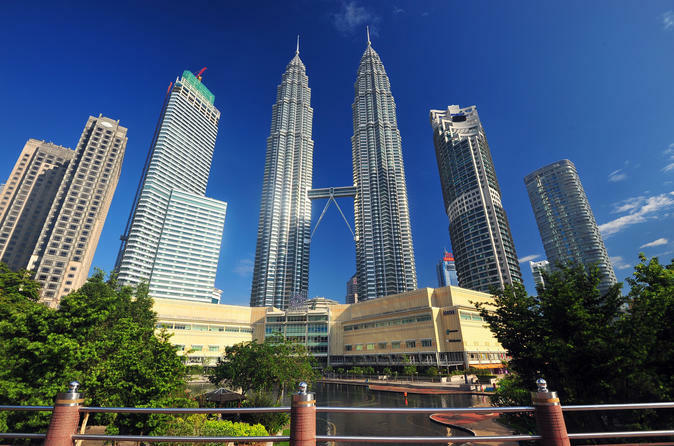 This full-day tour allows you to get a glimpse of the most prominent and iconic sights Kuala Lumpur has to offer: the Petronas Twin Towers, Central Market, Batu Caves, National Monument and many more. All in all you’ll visit 10 wonders of Kuala Lumpur in just one day! Come and experience the feeling of being in the tropical rainforest within the city limits of Kuala Lumpur! This program is specially designed to introduce the wonders and beauty of a primary tropical rainforest. See the best of Kuala Lumpur with a local and take in the multicultural vibes of the city. Visit iconic stops, check out hidden gems and taste delicious food on the way. Personal local stories from your host and city recommendations are included. Explore and admire the beauty of several iconic buildings that represent Kuala Lumpur on this fantastic full-day tour. Ascend the world renowned Petronas Twin Towers and walk on the tallest skybridge in the world, climb 272 stairs at Batu Caves to seek 'enlightenment', buy souvenirs from Central Market, enjoy a nice photo session at National Monument, and visit the King Palace and Independent Square to finish a memorable day. 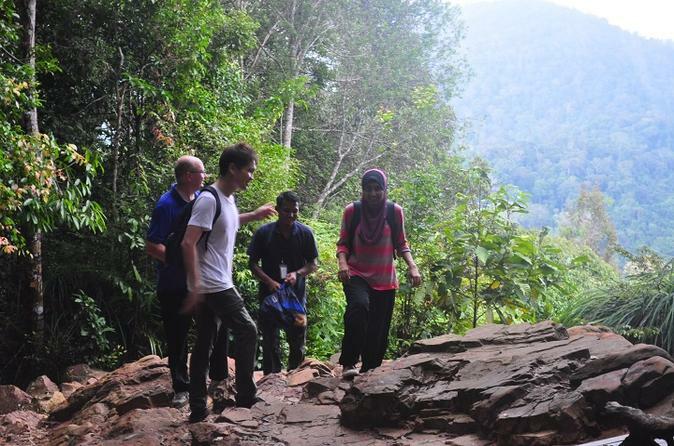 Discover the beautiful nature of Kuala Lumpur during this private guided hiking activity with your local guide who will take you to the best hiking spots and viewpoints to see the stunning Kuala Lumpur skyline. Join this 2-day tour for an experience of a lifetime! 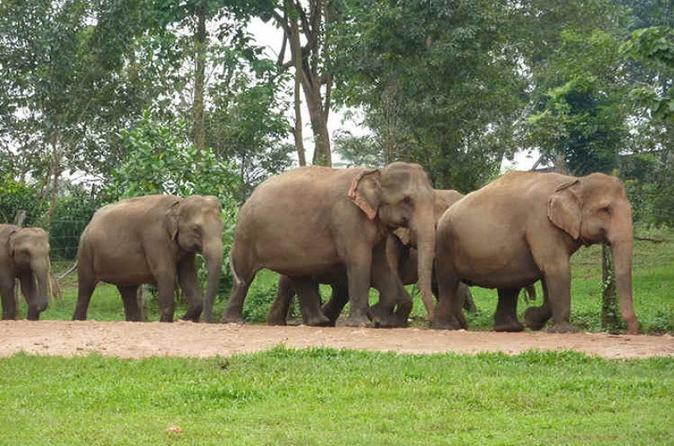 Enjoy an exciting tour to Taman Negara National Park and the Kuala Gandah Elephant Sanctuary. Let your worries wash away as you delight in a range of activities such as Taman Negara Canopy Walk, Rapid Shooting to Trenggan, and of course Elephant Sanctuary Tours. 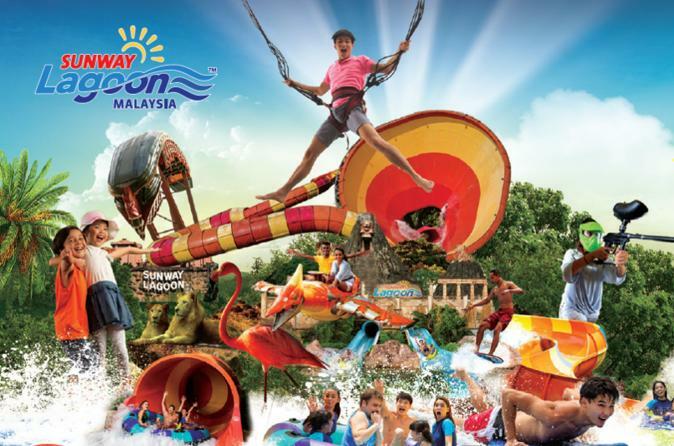 Head to Sunway Lagoon Malaysia in Selangor for the day and experience the wonders of more than 90 rides and attractions spread across six theme parks: Water Park, Amusement Park, Extreme Park, Wildlife Park, Scream Park, and Nickelodeon Lost Lagoon. Your admission ticket allows you to access all, excluding G-Force, Go Kart and Bungy Jump. Enjoy panoramic views of beautiful Kuala Lumpur from the top of city. Walk along sky bridge of Petronas Twin Towers and admire the entire cityscape from the observation decks. Skip the long lines and get your official tickets at your hotel reception immediately after arrival. Skip the line and skip the headache and get pre-purchased tickets for your planned amazing tour for Kuala Lumpur. 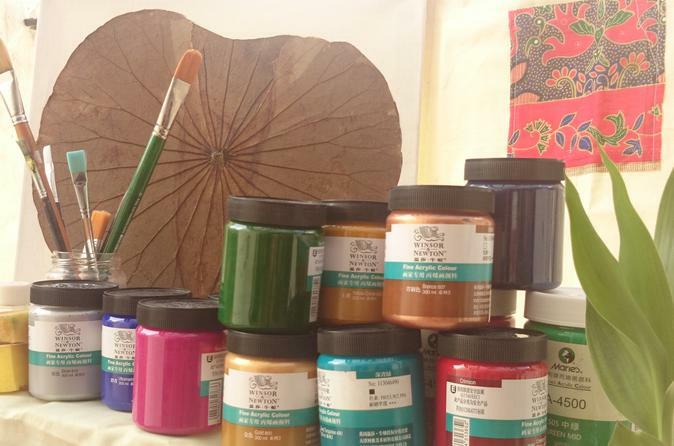 Book this small group lotus leaves painting lesson and unleash your inner artisan with maximum 5 students per lesson for approximately 3 hours. Be immersed in the enriching experience of creating your Asian masterpiece. Lotus leaves painting does not require any skills or experience in art whatsoever. Simply pick the colors you love and harmonize them on your canvas. These gorgeous paintings make lovely, meaningful gifts for home and office decor and are guaranteed to be delightful conversation pieces. Whether you choose ethereal warm or vibrant colors, your painting will captivate its audience and inspire any space it fills. This full day tour starts in Kuala Lumpur and brings you to Malacca which was once colonized by the Portuguese, Dutch, British and the Japanese during their occupation over a period of 400 years. Visit the Dutch Square with the pink colored Stadthuys, Christ Church, Clock Tower and the Queen Victoria Fountain. You will also see the Cheng Hoon Teng temple, which is the oldest functioning Chinese temple in Malaysia that was founded in 1645. The Porta De Santiago, the Gate to the Portuguese fortress La Formosa, built in 1511, the St. Paul’s Church where St. Francis Xavier was once buried and many more interesting sites would also be worth a look. After a local lunch, you will have time to stroll around the Jonker street, famous for its Malaccan antiques before returning to your hotel in Kuala Lumpur. Let a driver/guide introduce you to Kuala Lumpur’s biggest markets and bustling streets filled with vendors, restaurants, and shops. Immerse yourself in the bazaars of Chinatown and Little India (Jalan Masjid India) where you'll find Malay, Chinese, and Indian cuisine. Have time to browse and bargain independently for high-quality goods, including at Central Market. Hotel pickup and drop-off is included on this half-day tour in the morning or afternoon.